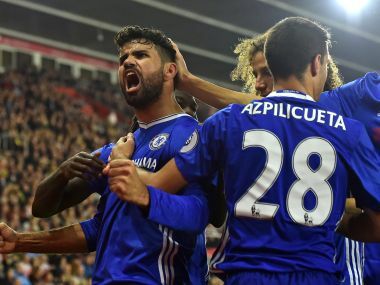 London: Diego Costa's sublime strike sealed Chelsea's 2-0 success against Southampton on Sunday as the Blues chalked up a fourth successive Premier League victory. Costa doubled Chelsea's lead with a fine finish from 25 yards after Eden Hazard had put Antonio Conte's side ahead early in the first half at St Mary's. 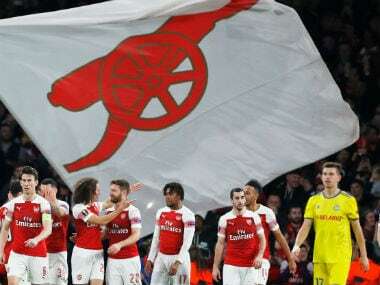 Inflicting Southampton's first home league defeat since February gave Chelsea four league wins in a row for the first time since April 2015, when they were on the verge of lifting the title under Jose Mourinho. While it is too early to predict another Chelsea charge to the title, the Blues have hit a promising vein of form since Conte switched to his preferred system with a three-man defence. 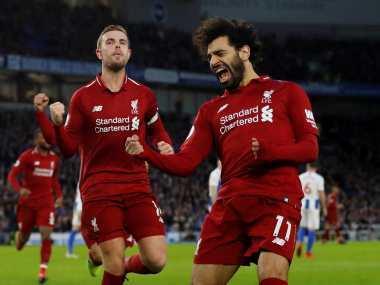 Their win on the south-coast lifted them above Tottenham into fourth place in the table and within one point of leaders Manchester City. Southampton remain in mid-table after a first defeat in six league games stalled their recent fine run. "I'm very happy after this performance. I saw great commitment and great work rate with the ball and without it," Conte said. "For the fourth game we keep a clean-sheet. 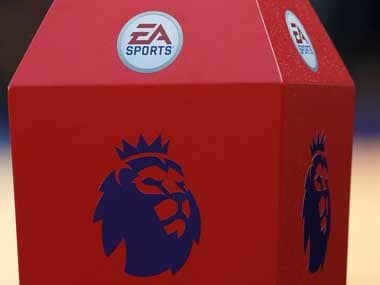 It's fantastic but it's early for us to speak about title contenders. We can improve a lot." After making a host of changes for the midweek League Cup defeat at West Ham, Conte returned to the line-up that thrashed Manchester United last weekend, which meant captain John Terry was back on the bench. 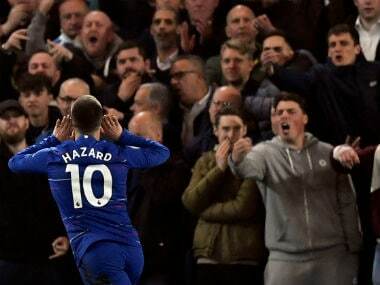 For the all focus on Terry's omission, it was the presence of Hazard, who didn't start against the Hammers, that proved the most significant team change. Just seconds after kick-off, the Belgium midfielder underlined his threat with a clever run and cut back on the right side of the penalty area that ended with Costa unable to prod past Saints goalkeeper Fraser Forster. Southampton boss Claude Puel should have been well aware of the need to stifle Hazard after working with the Chelsea star when he was a teenager at French club Lille. But if Puel had warned his players, they clearly failed to take note because Hazard was barely opposed as he put Chelsea ahead in the sixth minute. Allowed to advance unchecked onto a Victor Moses pass, Hazard glided into the same area of the penalty box he had threatened from before, and this time he tricked Steven Davis with an astute cutback before drilling a low shot past Forster. It was the first time Hazard had scored in three consecutive league games for Chelsea, but Southampton recovered their composure and almost grabbed an equaliser when Dusan Tadic's low free-kick was turned away by Thibaut Courtois. Hazard remained a menace and brought Forster into action with a low shot from the edge of the area. That was the signal for Chelsea to turn up the heat and Costa should have scored just before half-time when he fired straight at Forster from Nemanja Matic's pass. A sweeping Chelsea move early in the featured eye-catching passes from N'Golo Kante and Marcos Alonso and almost brought an own goal from Saints captain Jose Fonte as he stretched to clear from Costa. Costa wasn't to be denied however and the Spain forward doubled Chelsea's lead in the 55th minute. Taking a short pass from Hazard 25 yards from goal, Costa set his sights and unleashed a majestic shot that curled past Forster into the far corner for his eighth Chelsea goal this season. Conte's team were in complete control now and Costa nearly made it three when he volleyed narrowly wide at the near post before Hazard's drive drew a smart stop from Forster. Charlie Austin thought he'd given Southampton a late lifeline when he rifled the ball under Courtois, but his effort was ruled out for offside as Chelsea's revamped rearguard secured a fourth successive league clean-sheet. Ross Barkley's excellent goal sealed an impressive 2-0 win for Everton over West Ham in their Premier League clash on Sunday ending a four-match winless run in the league. It also maintained his extraordinary record against the Hammers as it was his ninth goal in as many Premier League matches against them since he moved to Everton. Everton manager Ronald Koeman said he was pleased with Barkley's performance but added he needed to be more aware on the pitch of what was required of him. "It was a total team performance today," the Dutchman told Sky Sports. "Ross Barkley had more impact in the last part of our attacking, not only in scoring but he was dangerous throughout. "That's what the team needs. He can be very good, but it is all about knowing what you need to do. Sometimes I have to shout too much, he needs to run more." Koeman's West Ham counterpart Slaven Bilic, who numbered Everton among his clubs as a player, said the hosts had been more clinical. "They were more lethal, or more mature or more cruel -- when they were offered something by us, they took it straight away, which we didn't do when we created or they made mistakes," said the Croatian. "Credit to them, and we knew they have a good side." West Ham should have gone one-up in the 12th minute as a deft pass by Dimitri Payet slipped Pedro Obiang free in the box but he completely miscued his shot as it ballooned over the bar. The hosts produced some sparkling attacking football after the early West Ham forays into their own half none more so than when Costa Rican Bryan Oviedo nipped in to win a ball that the West Ham defence should have dealt with. He looked up and found Barkley free in the box but his goalbound effort was brilliantly turned away by goalkeeper Adrian. Gueye, though, showed less alertness in defence as he had to resort to tugging at Obaing's shirt bringing him to the ground and earning himself a booking which rules him out of next weekend's clash with Chelsea. The hosts took the lead five minutes into the second-half as Winston Reid's poor clearance was played back into the Hammers box. Yet again the extra hunger of the Everton players played a decisive role as Yannick Bolasie charged into the area and got to the ball ahead of Reid after Adrian had saved Seamus Coleman's shot -- his perfectly delivered cross was headed into the empty net by Lukaku. Robles then produced a spectacular diving save to deny Mark Noble as West Ham turned on the pressure searching for the equaliser. That was as good as it got for West Ham as Barkley's magic produced the decisive second goal 15 minutes from time. The England international gained possession looked up and saw Lukaku breaking free down the right and found him with a perfect long pass. The Belgian dallied long enough for Barkley to make up the ground and then produced the perfect cross for the midfielder to beat Adrian with a half volley, celebrating by beating his chest and tugging at his shirt in answer to his critics.